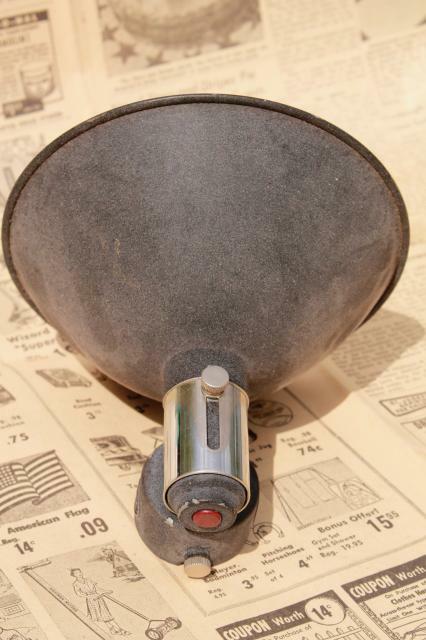 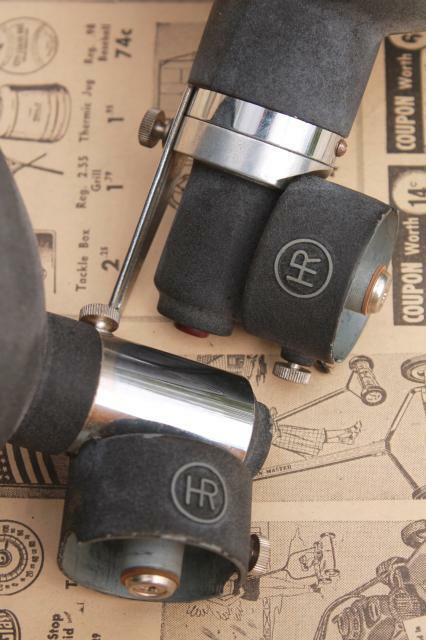 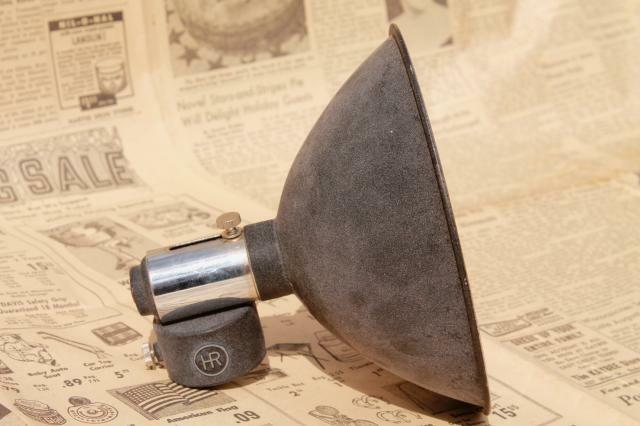 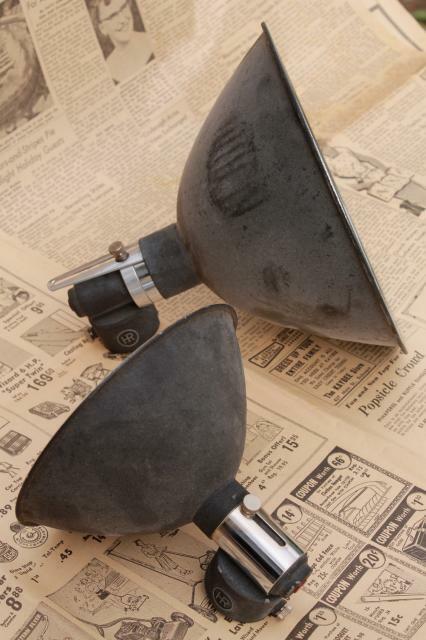 Pair of mid century vintage Honeywell Heiland Flex Focus flash reflectors for large format industrial cameras like the Graflex Speed Graphic and Pressmaster. 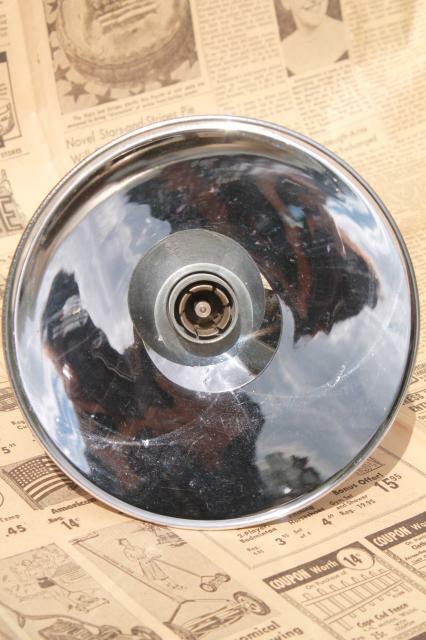 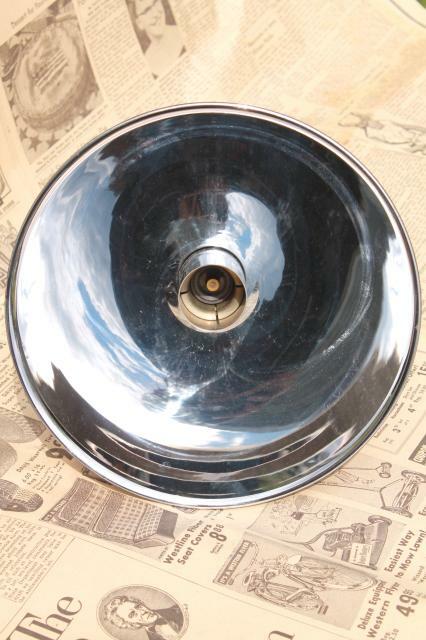 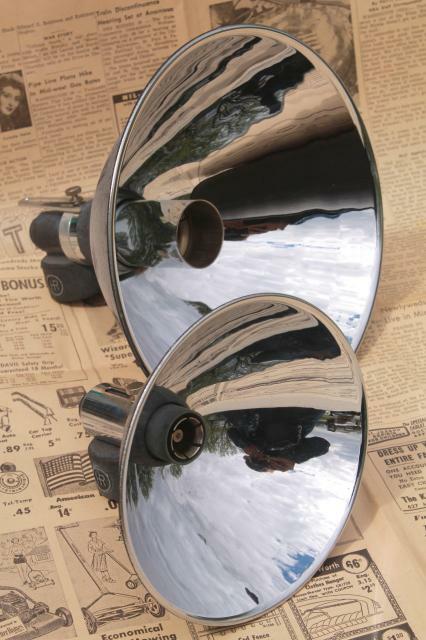 They are a large 8 1/2" model 45B reflector and a smaller 6" model 45A reflector. 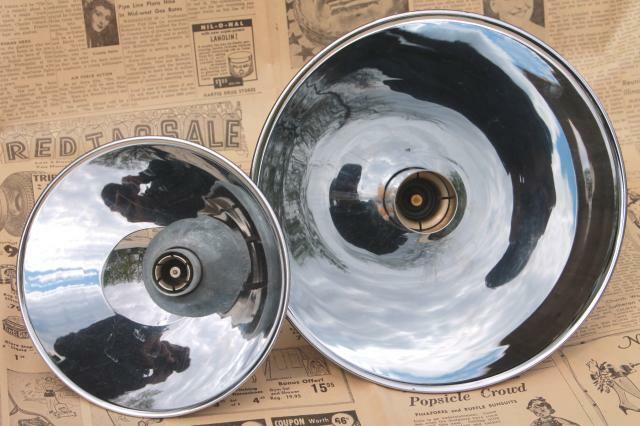 These are in nice condition and the reflectors are quite bright. 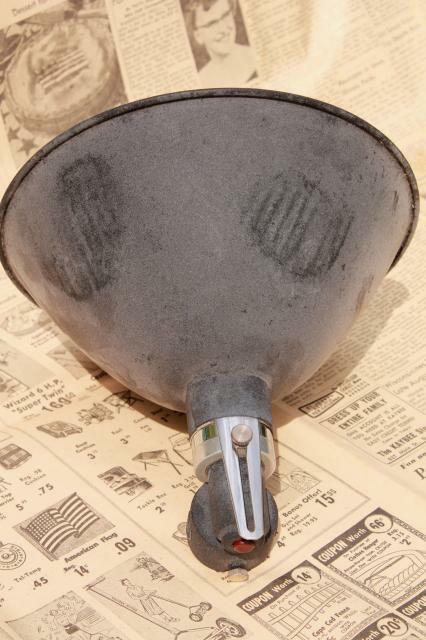 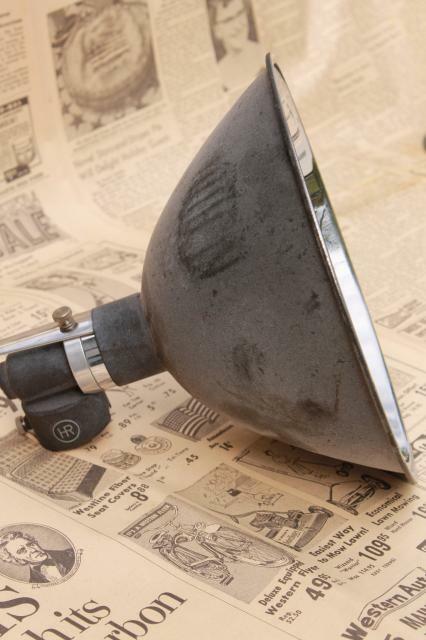 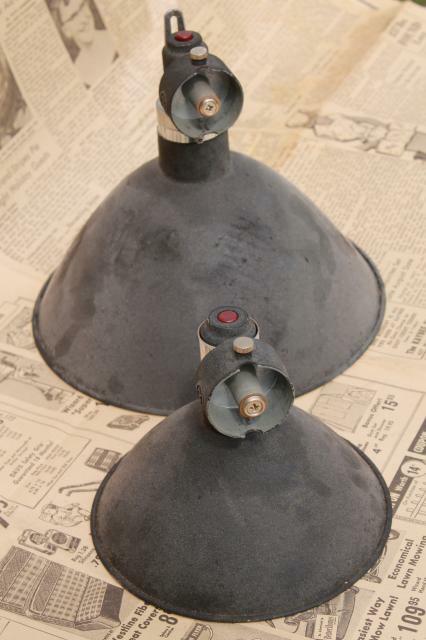 We think they'd also be great repurposed into industrial steam punk lighting.